Kramer, Hand, Buchholz & Partney - Experience. Knowledge. Integrity. Whether you are facing family problems, criminal or traffice charges, injury, financial trouble, or you simply want to plan your family's financial future, you can find the help you need at Kramer, Hand, Buchholz & Partney L.L.C. We'll work closely with you to resolve your legal issues in a timely and affordable manner. 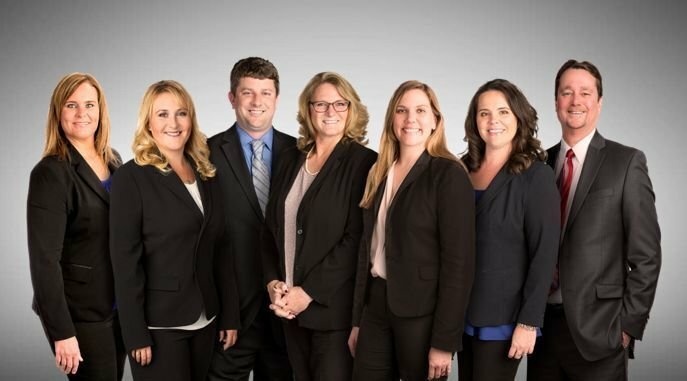 Kramer & Hand was founded in Hillsboro, MO in 1998 by senior partners Alice Kramer and Juli Hand, focusing initially on family law. Since then, the firm has established a second location in Arnold, MO and has expanded its practice dramatically. In 2015, Kramer & Hand added two partners, and became Kramer, Hand, Buchholz & Partney. As we continue to grow our practice, we pride ourselves in retaining the efficiency and values of a small firm. In 1976, founding partner Alice Kramer entered a rural Missouri courtroom on behalf of her client, only to be told by the judge that, per the sign on his door, she could not appear before him wearing anything other than a dress. (She was wearing grey slacks.) So, Alice ripped down the sign. While it is our policy to encourage peaceful resolutions of family law matters, we are zealous trial advocates when necessary. We strive every day to emulate the energy, ethics, and courage of our founding partner. We work hard to provide our clients with excellent, affordable representation. Divorce, Paternity, Custody, Child Support, Adoption, Guardianship, Alimony/Maintenance, Modifications, and Juvenile Proceedings. Felonies, Misdemeanors, Traffic Tickets, DWI, and Municipal Violations. Wills, Trusts, Probate Estates, and Power of Attorney. Accident, Medical Malpractice and Workplace Injury. Chapter 7 and Chapter 13. Call (636) 797-3004 for a free consultation.